Last Saturday my friend Amy came over to see our new apartment, meet Lloyd, and spend a much anticipated day in center city with me. Despite having lived in the area for two years prior, and currently living within short walking distance to the train station, Shawn and I haven't made it into center city very often. It's something I'd like to do on a more regular basis, since we have no excuse not to! I have a long list of restaurants I've been wanting to eat at and I knew Amy would be the perfect companion for a 'foodie/boozy' Philly day-trip. So I made a list and mapped out a bunch of potential stops and we took the twenty minute train ride to Suburban Station. 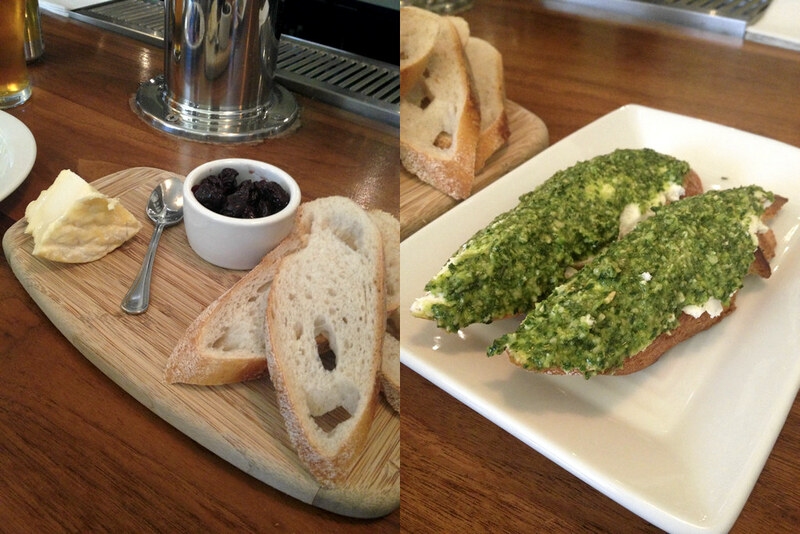 Our first stop was Tria; we had both been there at least once before, but it's one of those places I just have to stop at if I'm nearby. Tria is a beer-wine-cheese cafe... yes, they specialize in all three of those things, along with having an amazing light-fare menu. We each ordered a beer and had three plates to share - blue cheese stuffed figs with prosciutto, pesto and goat cheese bruschetta, and a serving of Langres cheese. (Hey, mom! I finally found some Langres here!!) 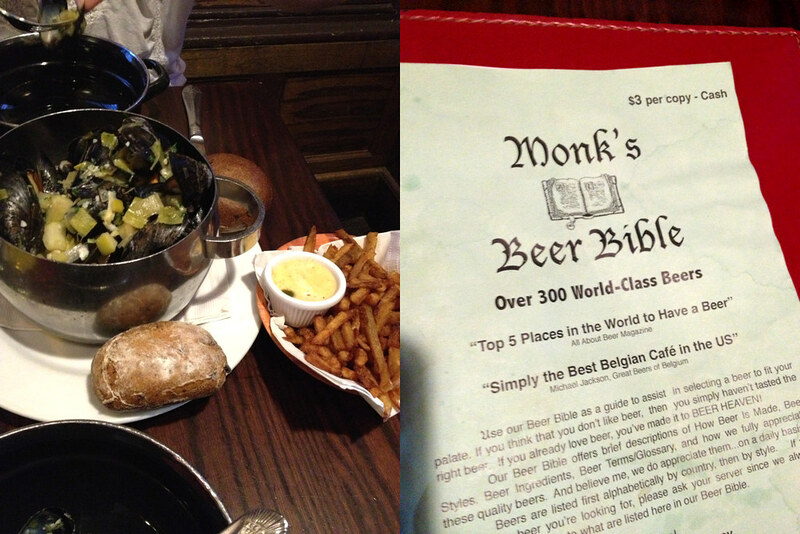 The food was awesome, as always, but my beer was the real star of the show. I'm not usually a fan of super dark beers so when it was poured in front of me I thought I may have made a bad choice... then I tasted it. It was, for lack of a more eloquent description, champagne in a beer bottle. I absolutely loved it, and if you're a beer drinker you should seriously consider trying it. After Tria we walked over to the Mutter Museum. No photos allowed, but it's pretty much a museum containing all sorts of natural oddities and various bones and things. It was certainly interesting (the fetuses and deformities especially, but I'm weird), but it was too crowded for my taste. I much preferred the Bodies Exhibition I went to in NYC with my sister a few years ago. Still, it was neat to see a collection that was started many many years ago and continues to grow to this day. After the museum we walked down to Monk's Cafe; it had been recommended to me by several different people because there's nothing I love more than a Belgian cafe. (Ok, I can think of lots of things I love more than that, but for the sake of the story...) We were definitely not disappointed! I didn't get a photo but I finally got to try the Delirium Tremens; I've been wanting to try that beer for years but it's usually hard to find or way over-priced. We also shared an order of mussels and french fries with a side of bourbon mayonaise. Whenever I go out to eat without Shawn I try to eat things that I know he would never eat, so mussels it was! I know I'm starting to sound like a broken record here, but it was all delicious, of course. We got a little overzealous and decided to trek further east for some empanadas at The Twisted Tail, only to get there and decide that we were not, in fact, hungry or thirsty for anything else. So we checked out a small outdoor craft fair that was in the square nearby and looked at jewelry instead, before heading back towards Suburban Station and stopping for a touristy photo in front of the LOVE statue. We finished out our day at the local brewery, Tired Hands, with more beer and food, of course! It is both a blessing and a curse having a small brewery within walking distance... especially one that focuses on locally sourced ingredients and a creative food menu to boot. 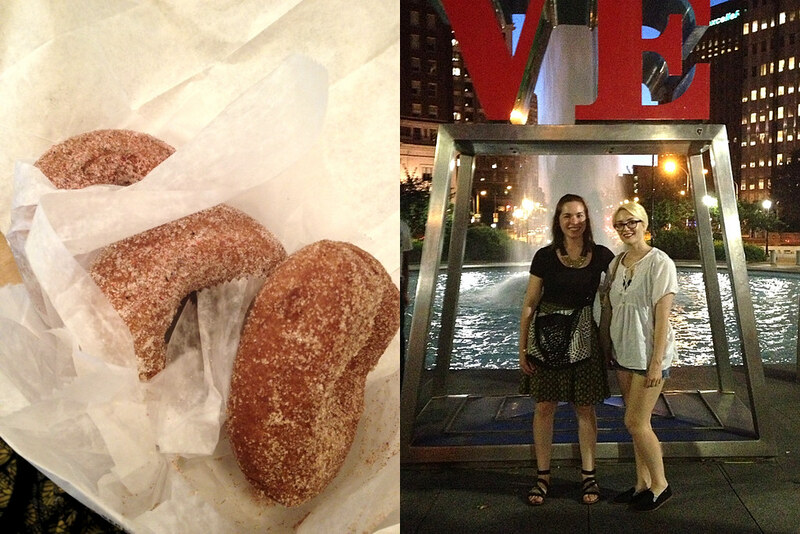 All in all, it was a beautiful day exploring the popular eateries of Philadelphia, and I can't wait to do it again!